Justin has been with 680, both as a player in its inaugural season in 2006, and as a coach since 2009. He graduated from Las Lomas High School in 2010 where he was a three-year varsity player and senior captain for Coach Steve "Skip" Mann. Justin began his coaching career with the 10 & Unders, spending his first two years working under Coach Skip. 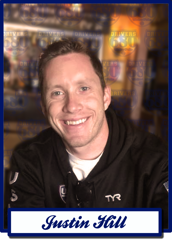 Following his time with the 10 & Unders, he moved on to become the 14 & Unders boys B coach and program assistant under Coach Matthew "Mundy" Mundelius. He has also been the Head JV and Varsity assistant coach of his Alma mater Las Lomas for the past three years.